Discussion in 'Plugin Requests' started by adi0115, Mar 27, 2019. @KarimAKL I don't seem able to get it working, no errors in console nor when the player eats the stew from what I can see. 1. Does it work with 'Require-Item: false' in config.yml? 2. Did you use the correct item id, data and name? The second question got me thinking that if you use a sword and the data (durability) is not the same it won't work, i'll have to fix that, does it need to be a specific sword (wood, stone, gold, iron, diamond)? If you just want a sword i can easily fix it, just need to know if it doesn't matter what kind of sword or it needs a specific sword before i do anything. 3. 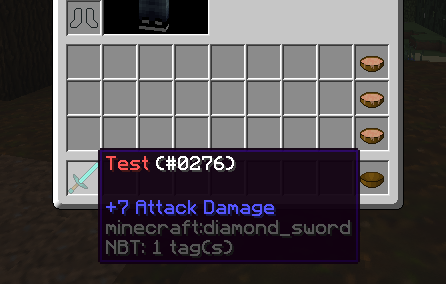 The sword in question will be a diamond sword with a custom name, I don't want all diamond sword to have this ability, if you think it will be easier by removing the item ID from the config and just hard-coding for it to always be a diamond sword but still allow to set the name in the config, I'm fine with that since I don't plan to chagce the item since the default one is a diamond sword which is what I want to use. If it still doesn't work please let me know what happens instead of what is expected and if you have any errors in console. @KarimAKL Still doesn't seem working, I did delete the config so it can generate the new one. No errors in console, it says the plugin gets enabled just fine. At the moment when a player eats a soup with the sword in his inventory, nothing happens, what I expect to happen is if the player has the sword in his inventory/hotbar and eats soup, as soon he eats it, the empty bowl gets removed from his inventory. @adi0115 Hmm.. It works for me, are you sure the names are the exact same? Do you get any errors in the console? @KarimAKL No errors in the console from what I can see, for your testing, are you using color codes or not? @KarimAKL Very strange, I took some screenshots, so you can have a look, unless I'm doing something wrong that I can't see. Once again, no errors in console while loading or when I eat. The screenshot above shows I eat the soup and the bowl is still in my inventory. EDIT: You can send it using https://pastebin.com/ or something. @adi0115 No problem, just glad we fixed it. Thanks for cooperating. @KarimAKL Hi again, so after running the plugin for few days on my server, I noticed few features that I completely overlooked when making the OP. Players are able to take bowls out of chests or drop them to the players with swords and they don't get removed, I totally overlooked this. 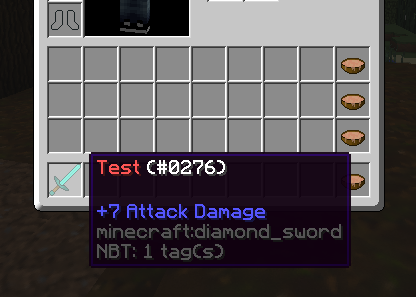 Would it be possible if the plugin is able to scan players inventory for empty bowls aswell? I have a perk where certain players are able to right click soup which exchanges it for empty bowl and 2 hearts, this would also eliminate the issue if a player has the sword and the perk at the same time. @adi0115 If a player picks up a bowl or takes it from a chest would the item get removed or would they just not be able to pick it up (it would just stay on the ground) or take it from the chest (it would just stay in the chest)? @KarimAKL The players are still allowed to pick up the bowls and take them from chests but when they do, they just get removed as soon it ends up in their inventory. @adi0115 Changed a lot of stuff for the plugin so i hope it works. Stopping players from taking stuff from another inventory is pretty tricky so please let me know if it doesn't work or i forgot something.